Fourteen-year-old Bobby Pendragon is not like other boys his age. His uncle Press is a Traveler, and, as Bobby has learned, that means Uncle Press is responsible, through his journeys, for solving interdimensional conflict wherever he encounters it. His mission is nothing less than to save the universe from ultimate evil. And he's taking Bobby along for the ride. Fresh from his first adventure on Denduron, Bobby finds himself in the territory of Cloral, a vast world that is entirely covered by water. Cloral is nearing a disaster of huge proportions. Reading the journals Bobby sends home, his friends learn that the desperate citizens of the endangered floating cities are on the brink of war. Can Bobby -- suburban basketball star and all-around nice guy -- help rid the area of marauders, and locate the legendary lost land of Faar, which may hold the key to Cloral's survival? D.J. 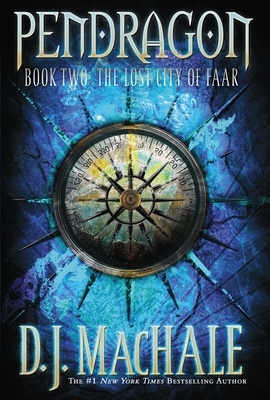 MacHale is the author of the #1 New York Times bestselling Pendragon series and the Morpheus Road series. He has written, directed and produced many television series and movies for young people that have been seen on Nickelodeon, The Disney Channel, HBO, Showtime, PBS, Discovery Kids, and the broadcast networks. D.J. lives with his family in Southern California.